The Eureka X1-S Gaming Desk is the perfect choice for your gaming command center. The X1-S has a sleek and smooth carbon fiber textured desktop with plenty of space for your gaming monitors, gaming keyboard, and other gaming gear. Scroll down to learn more about the X1-S features or click the Buy Now button and try the X1-S risk free for 30-days. Plus, free shipping! Best way to know if you like it, is to try it! The Eureka X1-S Gaming Desk comes equipped with Blue ambient LED lighting built into the desktop armor pieces. Just plug the USB cable into your Gaming PC, Gaming Laptop, Xbox or PS4 and you'll light up the room. 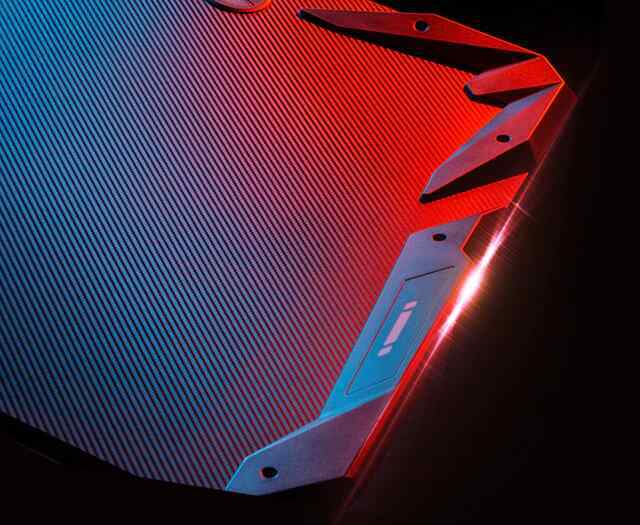 The immersive carbon fiber textured PC gaming desktop will help you feel like you are in the game and with the added blue ambient lighting you will forget you are sitting at your desk. Always have a place to store your gaming gear. The Eureka Gaming X1-S Gaming Desk comes with several convenient features to help you have a better gaming experience. We know how valuable your gaming gear is to you. That's why we designed the Eureka X1-S Gaming Desk with a ultra sturdy and stable X frame design. Game with confidence that the X1-S Gaming Desk is going to stand up to your extreme gaming demands day after day. The Eureka X1-S gaming desk can hold up to 200 LBS. Your satisfaction is our top priority. We make sure we're only designing and manufacturing the best gaming desks on the market today. We hold our gaming products to a high standard and hope you have an excellent experience using our gaming computer desks and gaming accessories. Here's some real reviews, by real shoppers about the Eureka X1-S gaming desk. We hope when you buy your first or next Eureka gaming desk, standing gaming desk, or gaming accessories you love them too. We're offering you a 30-Day Risk Free Guarantee. If you don't like it, just send it back. It's just that easy! Plus, free ground shipping* and free return shipping* if you're not satisfied.